Mercedes is doing its best to hide the next generation E-Class, but the camouflaged images of the 2016 Mercedes Benz E-Class have surfaced on the internet recently. The prototypes of the vehicle were spotted in Germany, where the company is probably doing test driving. The E-class has changed the mid-size sedan market in the recent years, adding luxury and prestige to the class. The advanced technologies that Mercedes installed in the E-class and the ones that the company expects to install in the new 2016 E-Class version will upgrade the car to a First Class experience. Regarding the design, it is unclear what Mercedes will deliver with the final version. However, rumors are that the 2016 E-Class will combine the best features of the S and C Class. For example, the platform will surely be the same one as the one in the C-Class. The new E-Class will also be a lot lighter than the previous version. The smaller weight will be the result of a new MRA architecture. The new architecture makes a point to increase the space inside the cabin and the trunk. But what will make the 2016 Mercedes Benz E Class a luxury vehicle is the technology. The main focus of the technology is the “Driver Assistance Package”. Mercedes has invested a lot of money into the technology of an Intelligent Driver, a system that is very close to autonomous driving experience. The new E-Class is armed with radars, multiple cameras including on-board cameras, ultrasonic sensors and a computer to control them all. Together, all technology assets will allow the E-Class to drive automatically at speed up to 130 km/h. There are still limits, including laws in certain countries that require a drive on the wheel at all times. According to engineers from Mercedes, the new feature will be mostly welcomed on motorways, where the car is put into an ideal scenario. With no traffic, the simple environment allows the driver to hand in control of the vehicle to technology and its sensors. 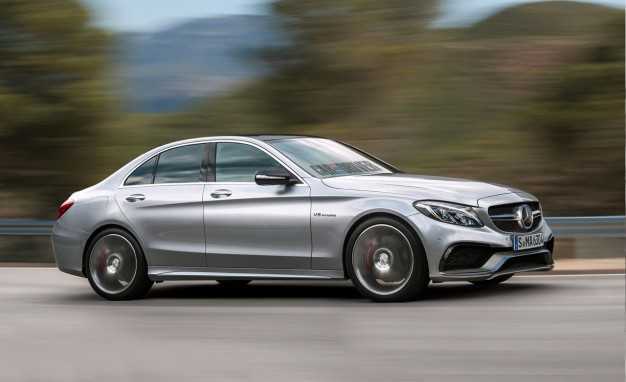 The new, updated version of the E-Class is expected with a V-6 turbo charged engine that packs up to 317hp power. The turbo charged engine will have a 2.9-liter motor, but there are rumors about a quad-turbo engine as well that will feature two e-turbo engines. Reports are that the 2016 E-Class might make its debut in January when the city of Detroit will host the North American International Auto Show. Soon after, the customers can expect an AMG E63 version that will have more power than the current AMG GT. The AMG E3 will feature V8 engine. Its 4.0 litter turbocharged engine could produce more than 500hp.